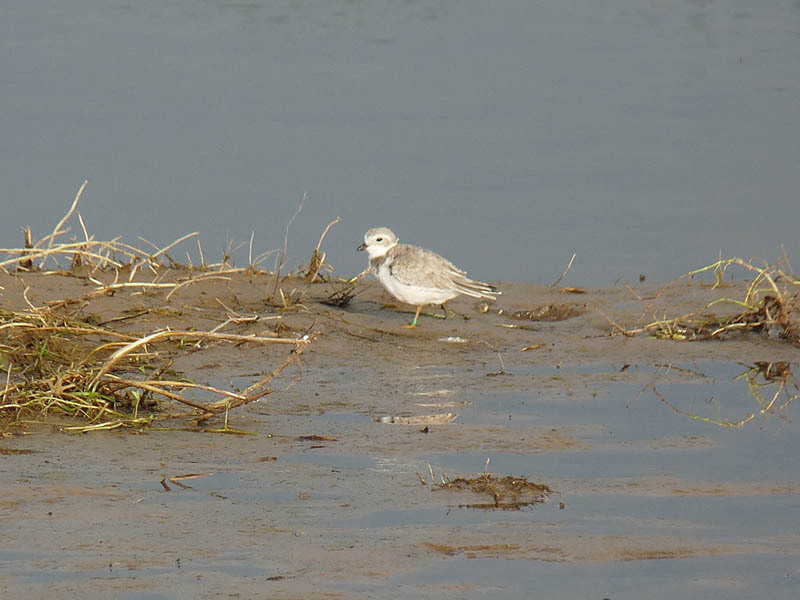 A banded juvenile Piping Plover has been hanging around Montrose Beach for a few days. This morning I saw it in the fluddle on the public beach (fluddles are pools of water that form after heavy rains and are attractive to migrating shorebirds). As of this post, the source location of this bird has not been determined. 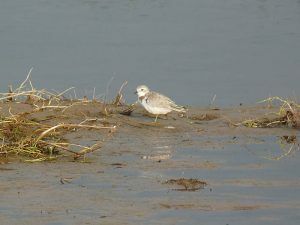 Several banded Piping Plovers that have appeared on the Illinois Lake Michigan lakefront in the past have been traced to the population from Sleeping Bear Dunes National Lakeshore in northern Michigan. Perhaps that is where this bird is from. After the plover, my next best bird was an early Swainson’s Thrush, a portent of things to come in a few weeks. Link to my eBird checklist for the day below. This entry was posted in Summer Bird Reports and tagged Piping Plover, Shorebirds, Swainson's Thrush, Thrushes on July 23, 2017 by rhughes.